Posted by shwaldman in Society, Technology. Video podcasts. It is a tough medium, I think. With audio, you can start with a TV show or you can just talk. But to make a good video podcast, it requires a lot more effort and editing. I think there are probably a lot of good ones out there, but here are a few of my favorites. 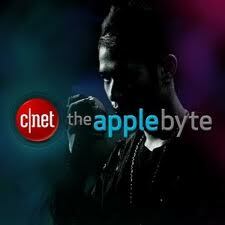 And on the other end of the spectrum, is a podcast called The Apple Byte with Brian Tong as the host. Primarily focused on the world of Apple products, the show covers what is going on in the consumer technology sector including rumors or even mistakes that Apple is dealing with. It has some good insights and the host is a pretty entertaining character. I also have to give props to Brian’s other show which should on this list too. Prizefight pits two of the top gadgets in different categories and they get reviewed side by side. This a good show to check out if you are looking to buy a new toy. Tekzilla has gone from a show to a franchise. There are various different shows under the Tekzilla and Revision 3 umbrella, but I seem to be stuck watching the main show. It offers great variety of coverage of news and questions from listeners. It discusses do it yourself projects, reviews and how to make the most of your technology. The three primary hosts include Veronica Belmont, Robert Heron and Patrick Norton. One challenge I have for you if you decide to watch this one is to try not counting the number of times Patrick says, “It is kinda funny (or interesting), right.” Good luck! Are you a conspiracy theorist? I am not, but I often wonder if we are always getting all the information from our media sources. There is so much out there on the Internet. 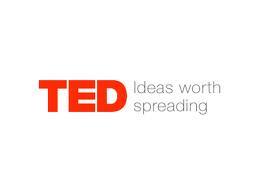 Many ideas and many crazy people. I don’t have time to research and look into every crazy idea out there, but the Stuff They Don’t Want You to Know is video podcast provides interesting insights and introductions into the conspiracy theories that are out there. They cover things like UFOs, the NSA, and The Free Masons. And for my last recommendation, I have to give a tie, but not because these two are equally good. It is because they are the same. For anyone that remembers the Seinfeld episode where they were casting the stars for the show they were trying to pilot, you will get this “joke”. Originally, there was a site called Engadget run by three brilliant hip technologists. They had a some disagreements with their new parent company and decided to go out on their own and start a similar site called the Verge. They started their own tech journalism site along with a regular show called On The Verge. Well, The Engadget Show lives on but they had to cast copied, literally copied down the host with the same beard, the same team. The shows seem to be released on the same schedule and often cover similar topics, but in much different ways. 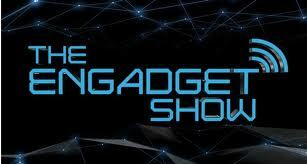 Both are good and fun to watch and provide lots of good insight into the technology and gadget world.